Sky is blue, Tomatoes are red, Milk is white, and Hairs are black…well this was what my son knew about colors of things that he sees, in day to day life. He was taught that cabbage is light green, capsicums are dark green, cauliflower is pale white and tomatoes are big and red (or sometimes greenish red). Every 7 year old kid knows at least these basics about colours. But when he chanced upon a big purple cabbage, a red and a yellow colored capsicum, dark green cauliflower (broccoli) he was amused. Then he also confused cherry tomatoes with Cherries, the fruit. Well not his fault….because these things had suddenly found place in our refrigerators, via the mushrooming Food Malls. So when we spotted these Exotic and weird colour combination, he was confused and I was grinning with joy, because at last I found something fancy in my basket apart from that usual boring predictable stuff that we keep buying from malls. Now once that we were done with purchasing and storing these veggies, there was a Million dollar question about how to use the broccoli, the purple cabbage, the red and yellow capsicums and the baby tomatoes all in one dish? The obvious reply was a salad (and I did make one) but I wanted to make something more tempting with it. Since my son just refused to eat those strange colored foods, I thought, I thought, I thought, but nothing clicked my brain and taste buds. Suddenly I remembered my visit to my in laws place few days back, where I tasted (just a bit) of some kofte in regular onion tomato curry. Those were strikingly similar to the Manchurian balls, sans the black gravy of course. So bless Mr. Graham Bell (the inventor of telephone of course), that I was able to call up my MIL and got the recipe from her. Her recipe called for, cabbage, carrot, capsicum, grated and spiced with just salt and black pepper, bind-ed with cornflour and all purpose flour, deep fried and dumped in simple onion and tomato gravy. Now wasn’t it so apt combination to utilize all the exotic stuff I got? And more importantly I love to camouflage the vegetables so that my kid eats his meal without any fuss. Add a bit of salt and keep these aside for about 10-15 minutes. Squeeze out the water later, but save it to add in curry. In a large bowl mix all the grated vegetables along with boiled and mashed potato, bread crumbs or bread slices dipped in water and squeezed out. Add salt (carefully coz,there is already some in veggies) pepper, green chillies (chopped or grind ed),along with ginger garlic paste and chopped fresh coriander leaves. Alternatively you can use maida and corn flour to bind the kofta mixture instead of bread and potatoes. Make small ping pong ball sized kofte with the mixtures and deep fry them , first on high flame then at lower flame, till nice golden brown in color. Drain out the excess oil on kitchen towel. Peel and chop finely, 2 onions and sauté it in about 1-2 tsp of oil in a pressure cooker. Sauté till light brown in color, then add chopped tomatoes, green chillies, ginger, salt (again a bit),turmeric powder, coriander powder and stir fry properly for few minutes. Don’t let it burn or stick to the bottom of cooker. Then finally add some garam masala powder and the water squeezed out from veggies. You can add plain water, if needed. Close the lid of cooker and let the pressure release for 5 times (5-6 whistles).Put off the gas. After the pressure is released, whisk the gravy with wooden whisker to homogenize everything. Adjust the seasoning and consistency of gravy. Add the koftas in hot gravy just before serving, remember they will turn soggy too soon, and will absorb the gravy pretty fast, so don't let the koftas sit in gravy for long. 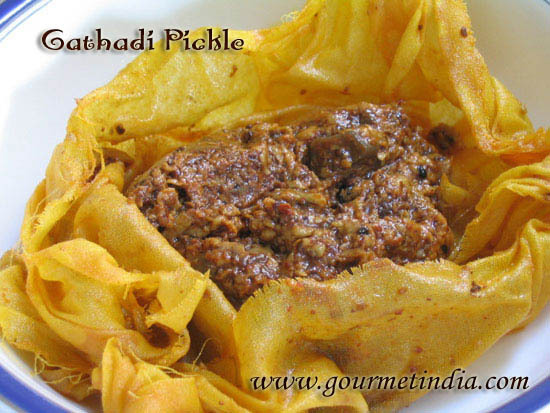 Garnish with fresh coriander leaves and enjoy with roti, Naan or phulke. Just finished a plate of Vegetable Kofta at the Green Hotel in Rishikesh. Determined to make these at home, I googled and found your beautiful photos and recipe. Thank you! Can’t wait to play in the kitchen with your help. is there an alternative to deep frying the veggie kofta, such grilling or baking in oven? Makes my mouth water.Thank you for sharing this recipe.Even I would like to try it. How do I print out your recipes? It’s a good recipe. I’ll try it today..
Alka, I made these today and they were delicious… with mom & cook away, I keep coming here to see what I can make for lunch n dinner.. thank you for this site..
Alka, something is waiting for you , kindly come and accept that. Kindly look in to my previous post and accept that too. dear. Wow! Loved the pic of the uncooked kofta. A Very tempting curry too! These koftas are so cute, I have bookmarked them immediately. Good receipe, I will try this today today. 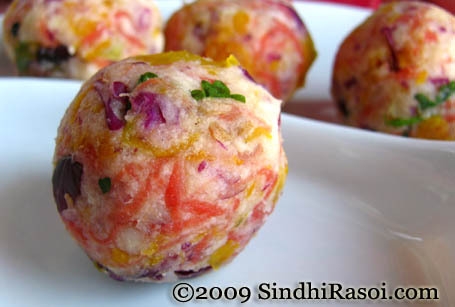 As my little bit Know nargisi kofta is also made like this. I want to know then whats the difference between these two. Adding vegetables like cababge, broccoli and capscium to the koftas is a neat idea. A creative way to sneak in the veggies. Also loved the simple way of making the gravy. lovely way to get all vegetables… love your picture! Alka u are a Temptress:-) I was reading kofta but thinking manchurian when I saw the pictures. Great idea. That veggie ball looks ready to be popped in the mouth, cooked or not. Firsttime visitor to your blog. Loved all your recipes. 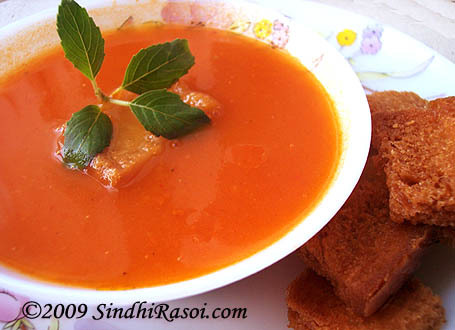 I had a sindhi friend in school who used to bring lolo for lunch. I used to eat it, with her permission of course! I am so glad that i found that recipe on your blog. Check out my blog when you have the time!! beautiful pictures the cherry tomatoes are so cute! Looks lovely and so easy compared to some of the other recipes I have seen. Love the use of pressure cooker and no cream ! Alka,this is a torture dear friend..What a yummy click yours! !..the Kofta looks inviting and am drooling over. Wowo this si the best veg kifta i have ever seen. Delicous. Alkaji,Thanks for a mind blowing recipe. I am going to try as soon as possible. My mouth has started watering already. 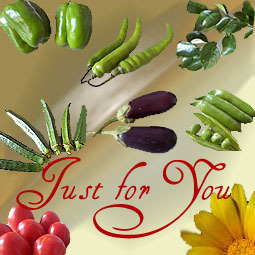 U r doing a grt job. Alka,u r torturing me:P.It looks delicious….great pic too.I think food shud taste as well as look good too,that makes it tempting.Yours is jes so perfect.Wonderful recipe! 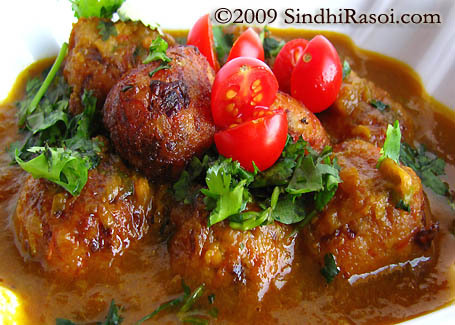 that sure looks gorgeous… yummy koftas..
Sk on SindhiRasoi Turns 10!